I’m already planning for warmer weather and making clothes for my girls that can be layered now but worn come Spring and Summer. 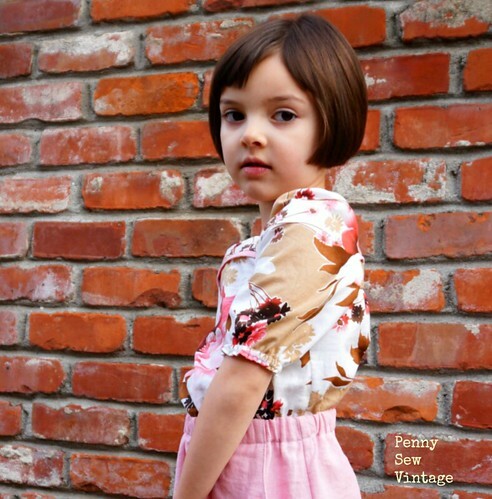 The Paneled Sunsuit by Designs by Call Ajaire has been on my to-sew list for awhile now, and while I was looking at Call Ajaire’s new site with my daughter, she begged to have a sunsuit top just like this one. Of course there is no way I’m making that in white for my girl (although it looks absolutely stunning in white)! I did have a light floral cotton lawn sitting in my stash for a long time, where I picked it up from I have no idea, but my girl gave it the thumbs up so yay! Her measurements put her in the size 3 for chest, 18 months for waist, and 5 for hips and height, but I measured her neck to waistline (side note, it’s so awesome that Call Ajaire adds all of these measurements into her patterns as it makes it tremendously easier to blend sizes for my girls), and decided to use a size 3 top graded to a 4 waist. I’m also using the size 3 sleeve add-on and shortening it like Ajaire did in her beach post, and a size 5 skirt graded to a 4 waist. It sounds like a lot of grading, but it’s not really, and there are directions on how to grade the pattern to get the best fit. I love when patterns provide all of those details for me! 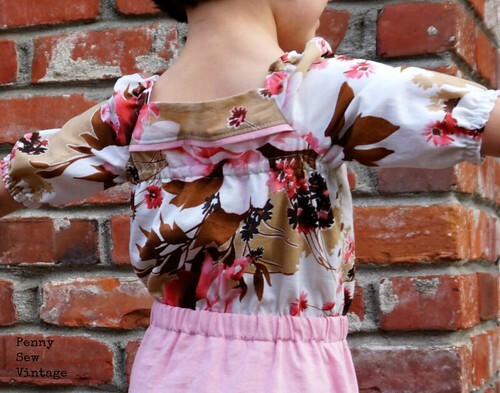 I used the cotton lawn for the top and sleeves, and I used a pink cotton linen fabric I picked up at Discount Fabrics awhile back. Construction was for the most part straight forward, but definitely read each step. There are several steps, but none are very difficult. Probably the step that took me the longest was sewing the lining to the main fabric since I added the sleeves. I’m so happy with how it turned out though, and she feels like a big girl wearing it. At first I was concerned the chest portion was too tight, but it’s the elastic in the back that gets the front to have a more fitted look. She said she was very comfortable, and the elastic wasn’t tight at all. Of course I had to tug at it, and it wasn’t tight, just the effect of the elastic. Very cute! 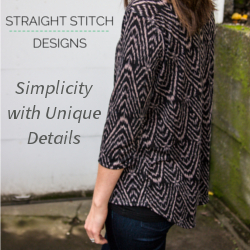 DbCA’s patterns come with many options, and she often provides add-ons after they release. 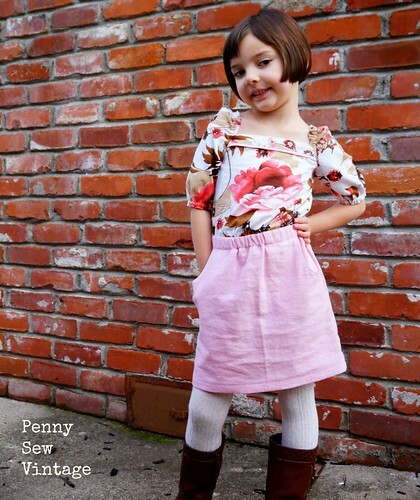 I have so many ideas of cute outfits to make my girls, I know I’m going to be revisiting this pattern soon. If you’re interested in trying out her patterns, now is the time to do it! She’s having a grand opening sale to celebrate her new site. 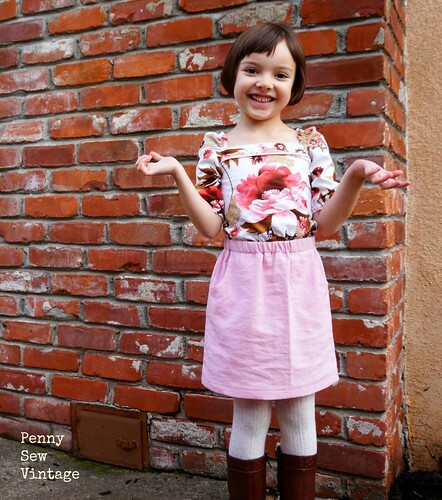 You can find the coupon code for 25% off all patterns in the Designs by Call Ajaire Facebook Group. I really do recommend her patterns, especially if you’re an adventurous beginner wanting to learn new techniques. 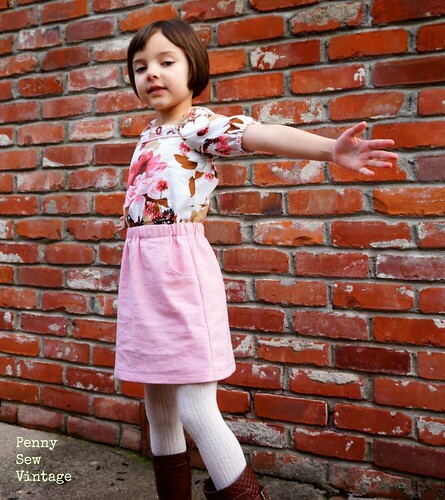 She provides lots of details, and the goal of her patterns is to help you expand your sewing skill set. She definitely holds your hand throughout and provides lots of tips and hints, so you won’t feel confused or lost. Plus, there’s always her Facebook group where you can ask questions if you do. I can’t wait to try the tank top version next with the shorts for summer. Who else is ready for warmer weather?! I’m so in love with this one! I need to do an elbow sleeve with my next one. This is perfect! Thank you 🙂 I love it too! 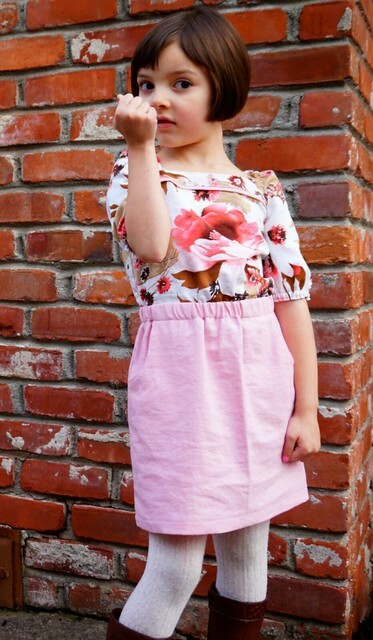 She looks so grown-up wearing it! Previous PostPrevious Wardrobe Planning and Me!